Crown is a tooth shaped cap placed over a tooth to improve its appearance. It also helps to resize and restore its strength. Dental crowns encase the entire visible portion of a tooth laying above the gum line. Crowns are needed to protect weak tooth from further decay. It also helps to hold a dental bridge in place, cover discolored teeth, cover a dental implant and to apply a cosmetic modification. Visit your dentist to protect your teeth with dental crowning and caps. Teeth Whitening uses bleaching to lighten the color of your teeth for a better smile. The procedure does not turn your teeth brilliant white but has a significant impact on the existing color of your teeth. Many beauty clinics perform the procedure but for the best results it is always best to get it done by a professional dentists. Do not go for beauticians offer teeth whitening without a licensed dental experts. Most of the Beauty salons are illegal and may result in an oral tooth infection. Reserve your appointment with a dental expert for a better tooth color. Oral Surgery is a form of dentistry which helps to treat a wide range of diseases such as defects, injuries and diseases around the neck, face, head and jaw. Most common oral services include extraction of teeth, placement of dental implants and reconstructive dental oral surgery. 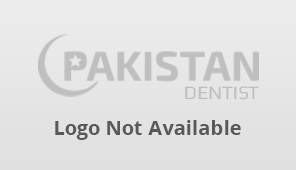 Book an appointment for oral dental surgery. Cosmetic dentistry focuses on improving an individual's physical appearance. It reshapes a person's teeth, bite and gums by focusing on dental aesthetics such as position, color, size, shape, alignment and smile.